With the acquisition of the adjacent building, an additional dentist, and two hygienists, our practice facility literally doubled in size and is now accessible with the addition of the elevated lift. The facility is state of the art and every department keeps current with continuing education. We understand, that for some, the thought of visiting the dentist or hygienist stirs emotions of anxiety and even claustrophobia. For these patients we offer nitrous oxide (laughing gas) to help abate any fears one has when seeking the diagnosis or treatment they require. There are also prescription medications at our disposal to help you feel more relaxed while visiting us. If you require an appointment to discuss your fears and anxieties about visiting the dentist, we would be happy to schedule a preliminary appointment to discuss the most appropriate way to proceed with your treatment to make you feel as comfortable as we possibly can. If you have questions about any of the aforementioned offerings do not hesitate to contact us, as we would be happy to answer any of your questions and ease and curiosities over the phone, in person or via e-mail. 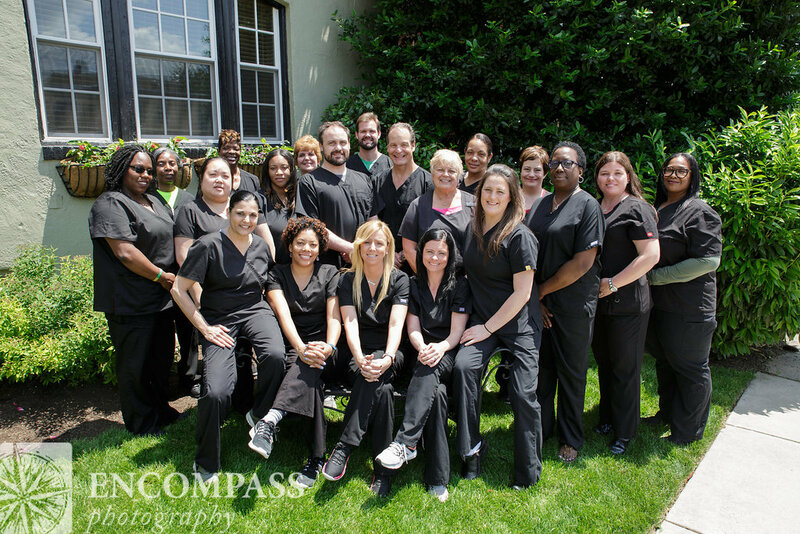 A top priority of our dental team is protecting the well-being and health of our patients and our team. For this reason our practice not only meets, but far surpasses, all Occupational Safety and Health (OSHA) and Center for Disease Control (CDC) standards. Our goal is to make each and every patient as comfortable as possible upon entering our facility, as if you were part of our family. To make an appointment please contact or email us at (215) 247-1284. A member of our staff will be available 24 hours a day to facilitate any of your emergency or scheduling needs so please feel free to contact us at any time, especially if you are a new patient in need of help. If for any reason you must miss an appointment, we kindly ask that you provide us with 24-hrs notice. We ask notice for a number of reasons the most important being we would like to offer this appointment to another patient in need of our services or possibly having an emergency. We have found over the decades that this simple courtesy keeps our patients and our team happy. A fee will be charged if a patient does not cancel within 24 business hours.